I have been teaching French to my kids on and off over the past few years. Because I studied French for so long, I thought it was only natural that I’d be teaching French to our kids! 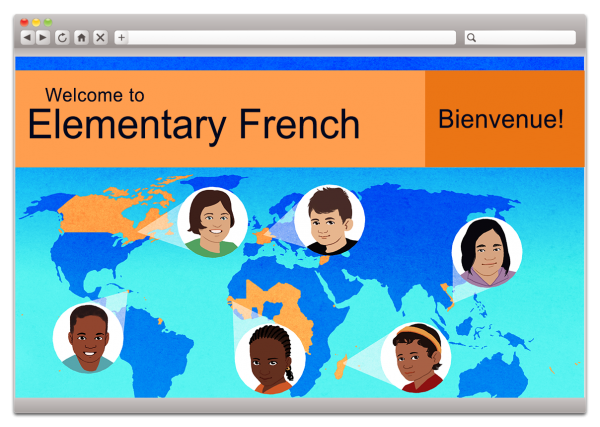 One of my favorite resources for teaching French is Middlebury Interactive Languages. Our daughter (age 8) has used their French Courses in the past. Although she wasn’t ready to move on to French II she was definitely ready to move up to the higher grade level. So, she has been using Elementary French I (Grades 3-5). Middlebury Interactive Languages is an online language curriculum for Kindergarten through 12th Grade. They offer various languages including: French, Spanish, German and Chinese. The courses help students learn both the language and culture. Courses are offered based on both the skill level AND the grade level. This means a high school student who is just starting a new language can learn in a way that is more appropriate for their age/grade level versus the learning style that is more appropriate for a young child. Aurora has been using the Elementary French I Program for grades 3-5 about 3-4 days per week. Last year she was doing French I for grades K-2, and they definitely take a different approach. The K-2 lessons were a little shorter and more basic. This year, she is still getting the full immersion as told through recognizable stories like “Little Red Riding Hood” as well as stories that may not be familiar to us. Each lesson takes her about 20-30 minutes to complete. Middlebury Interactive Languages is an online account based program. To access it, we simply go to the website on one of the computers (with internet access). All of her progress is saved as she goes. When first logging in, she has the option to start where she left off or the course that is scheduled for the day. Unfortunately, there isn’t a way to change the schedule, so if they get ahead or behind, it’s definitely much easier to just choose where they left off. There are 16 total Units for the French I (Grades 3-5) program. 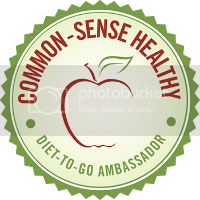 Each Unit starts with an Introductory video for the first lesson and is broken down into 6 total lessons. Each lesson is anywhere from 4-8 “slides.” The whole lesson can be viewed as slides on the left hand side. The lessons vary by day so on some days she may have been watching a story and participating in learning activities while other days she might be taking reviews and recording more phrases. The lessons are interactive, which I think is definitely helpful. Some of the interactive lessons she’s been doing include: listening to and then recording words and phrases, moving the correct word or phrase to the correct picture, watching stories and songs, exploring French culture and more. Once logging on and choosing her lessons, Aurora is able to navigate the program on her own. When she completes activities they are marked off showing how many were correct. For activities that include recording words and phrases, it is marked off as complete when she is finished, and I can go in and review them. Although the program does have a “Gradebook,” I can review, it only shows the grades for things like quizzes and tests. One feature I particularly appreciate is the “Table of Contents.” From there I can see every lesson in the course. When I click to expand the lessons, I can also see what she has completed as they are marked with a check mark. This way I can easily see if she has missed anything as well as what will be coming up! Overall, Middlebury Interactive Languages is still one of my favorite resources for teaching French. Although there are still a few features I would change (like being able to adjust the calendar), I love that the lessons are fun for her, and she enjoys them. I appreciate that the lessons include so many details and even include culture, which is a detail I think many other programs miss. I like that they offer lessons not only for experience level but for grade level as well so the lessons are better adapted for that age range. I definitely think it was much more appropriate for her to take French I in the Grades 3-5 level, and she has been doing great with the lessons as well! Members of the Homeschool Review Crew reviewed the different languages, levels and grades Middlebury Interactive Languages offers. Be sure to check out their reviews by clicking on the banner below! I too want to learn french. I think it will help me in achieving my goals.